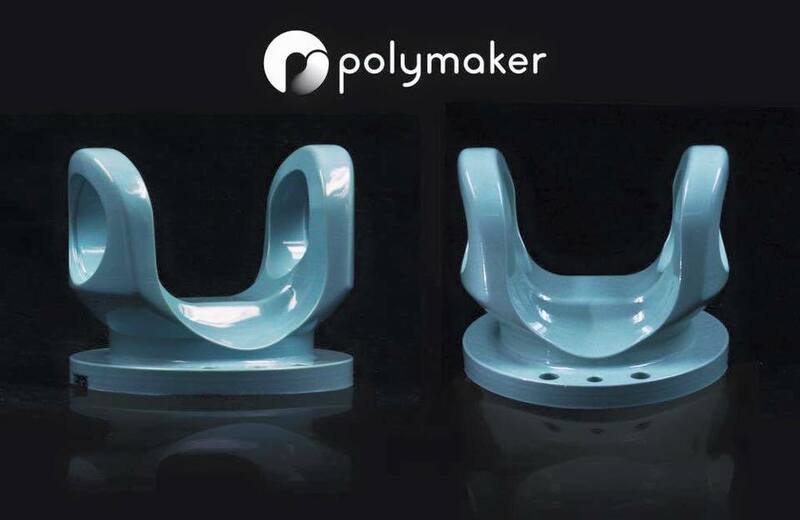 The innovative new Polymaker Polysher smoothing machine that changes how we see 3D Printed parts. 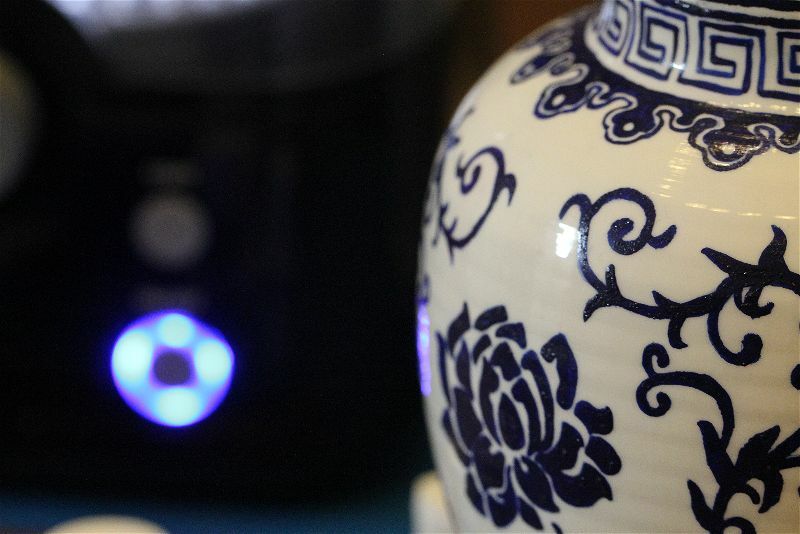 The Polysher has an airtight design that creates an aerosol of isopropyl alcohol/ethanol which melts the surface of printed parts leaving behind a smooth surface. The Polysher is safe, clean and affordable! 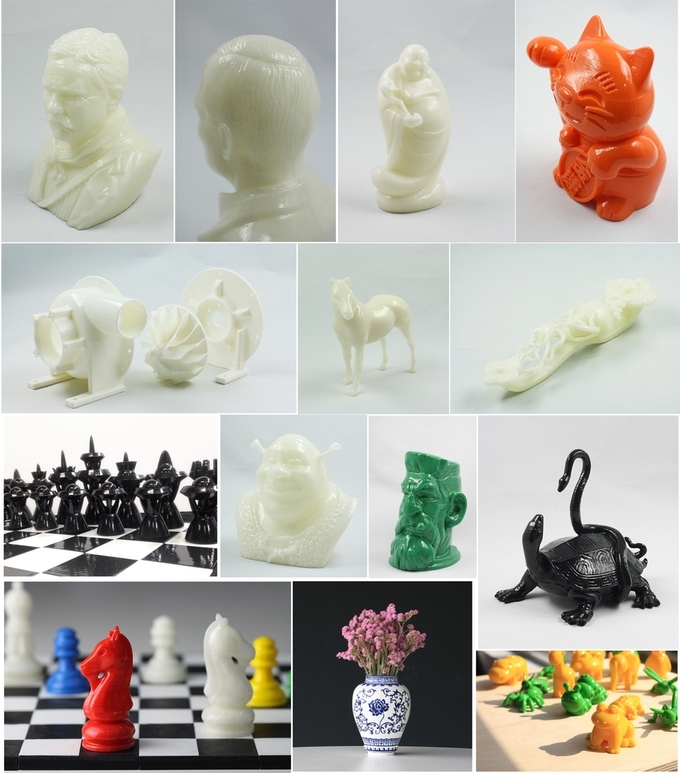 3D printing has witnessed significant advancement over the last couple of years. Now we can print bigger, faster, and with a much wider choice of materials. However, one challenge still remains unsolved even today, that is, the surface quality of 3D printed parts. The polishing process involves exposing a 3D printed part of PolySmooth to an aerosol (a suspension of micro-sized droplets) of alcohol. The aerosol is generated by a unit in the Polysher called the nebulizer, which consists of a thin membrane with hundreds of tiny (< 10 microns) holes, attached to a piezoelectric actuator. 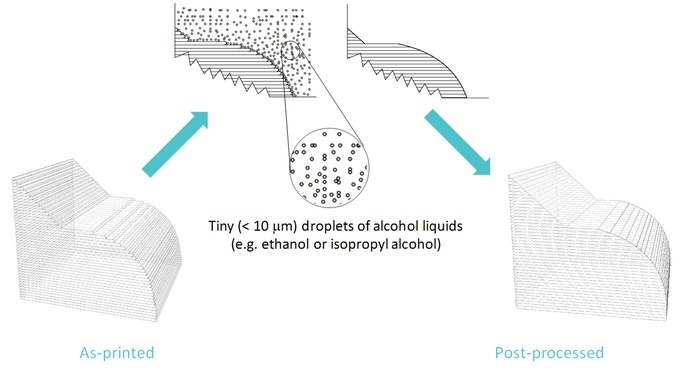 When actuated, the nebulizer will generate a fine aerosol of micro-sized alcohol droplets, which will then adsorb onto the surface of the PolySmooth PVB 3D printed part and eventually make it smooth. Everything is done seamlessly and effortlessly in the Polysher. Do not use other solvents / liquids other than Isopropyl Alcohol and Ethanol in the Polisher. Filling the Polysher resovoir with acetone and/or other unapproved liquids / solvents will damage the unit, increase risk of fire / explosion and void your warranty! 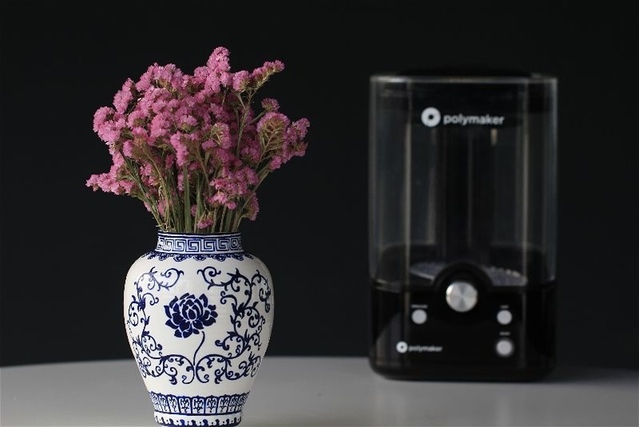 With the Polysher you can smooth parts up to a 15 cm * 18 cm (diameter * height) cylinder. 4. Once polishing is finished, the stage will automatically lift up for you to easily get the part. 7. Ethanol with concentrations of no less than 70% (90% or higher recommended). You can choose whatever is more easily available for you. More information on the selection of alcohol polishing liquids can be found in the FAQ section. 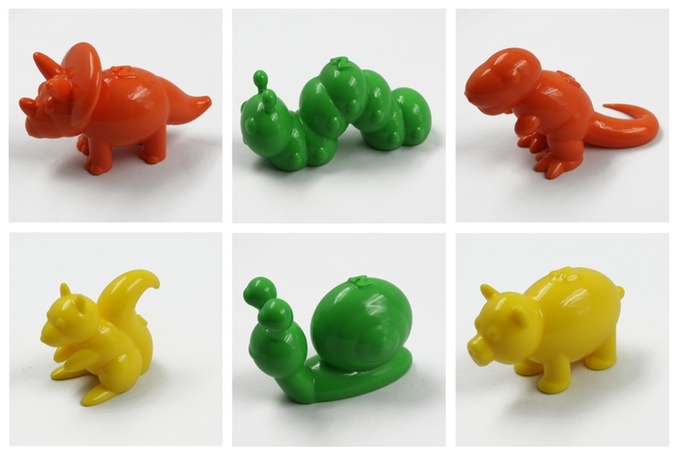 Polymaker developed their new filament PolySmooth PVB to be compatible with this new technology and takes the best featues of ABS and PLA combined into one filament. 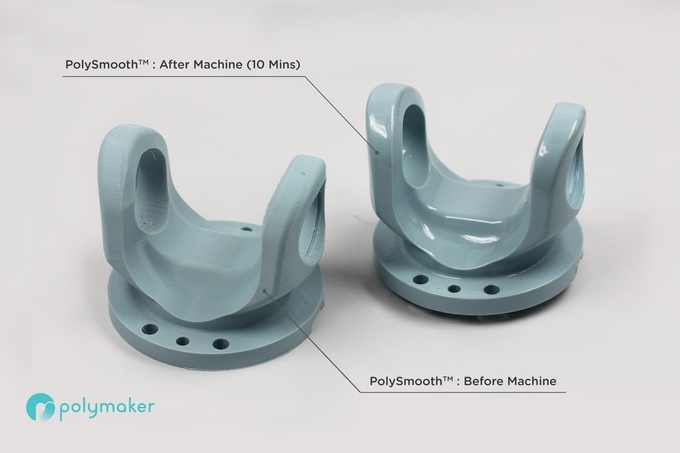 PolySmooth PVB was formulated by Polymaker’s experienced engineers to offer excellent printing quality, balanced mechanical properties, and, most importantly, the “smoothability”. The basic printing characteristics of PolySmooth are designed to be very similar to PLA – so it is 100% compatible with existing extrusion-based (FDM/FFF) 3D printers and extremely easy to work with. Below is a quick comparison of PolySmooth to PLA and ABS. Build surface: adheres well to common build surfaces including the blue tape, BuildTak, polyimide/Kapton tape, etc. Layer adhesion and warping resistance: similar to PLA; you can easily print large parts without warping and/or delamination. ABS and PLA are not soluble in alcohol so you will be unable to smooth ABS and PLA printed parts.